Pendragon's Banner- Book Review + WINNER!! In Pendragon’s Banner, by Helen Hollick, the tale of Arthur, the grand King and warrior, holds no place for Lancelot-types and ladies in distress. In this meaty epic, you’ll find a hero in the midst of endless battles, strong-willed women, questionable loyalty, heart-wrenching deaths, and true love. Arthur possessed not only those majestic qualities loved in a king that’s hero; he was also capable of extreme emotions and actions that could destroy, refute (as in the case of his first son by Winifred…I had a very hard time understanding this…) and could also literally ‘dispose of’ mercilessly as a means to an end. Those passages led to very intense reading- where I just could not put the book down. For me, she was the real heroine of this novel. I must admit that although I passionately read through the battle scenes, scheming plots, horrifying situations and the saddest of deaths-It was Gwen who kept me hooked to the storyline. What a heroine! In Pendragon’s Banner, Gwenhwyfar is strong, loyal, incredibly skilled mentally and physically (she could whip a sword as well as any Artoriani!) Her devotion, as well as her determination proved unshakeable in the worst of fates. Her fiery temper was no less passionate in the face of love for her husband and children. In all her intensity, Gwenhwyfar was also capable of great compassion, kindness and giving towards others in their time of need. Based upon Hollick’s fantastic character portrayal of Gwen in this rich novel, I have a renewed love and admiration for Arthur’s glorious Queen. Pendragon’s Banner, although quite chunky, is a relatively smooth read (difficult names and words have a pronunciation guide at the front). In addition, all chapters are only 3 to 4 pages long, easily readying you towards the next transition of events. Arthurian fans will enjoy this tale portraying Arthur and his Lady in a different, yet more convincing light than ever read before. Michelle from True Book Addict!!!!! Interview with Kris Waldherr + Fantastic GIVEAWAY!!! Knowing how fascinated I am about Venice, its splendid beauty and rich history, you can just imagine how thrilled I am to present to you today the amazing Author/ Artist, Kris Waldherr! Kris has graciously agreed to answer some questions for Enchanted by Josephine. So, we’d love to know what is your fascination with Venice? Where –or- what would you say was the most enchanting place you’ve visited or seen there? The short version is that it's the most beautiful city I've ever visited. When I first visited Venice almost twenty years ago, I felt bowled over by the architecture, the art, the sea, the history -- my senses were stunned by everything I experienced. While I didn't succumb to Stendhal syndrome in Venice, I felt opened up to artistic inspiration in a way that I hadn't before. Afterward I became determined to use the setting of Venice in my art and writing. 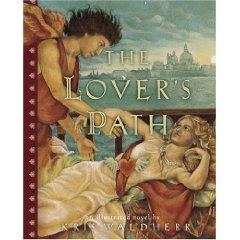 From there, THE LOVER'S PATH developed organically over the years, along with the art for the love-themed tarot cards that accompany the book. These ultimately made their way into the Love Tarot iPhone app. There are so many places that I love in Venice that it's nearly impossible to choose one. I find the Ca' d'Oro to be especially enchanting. It definitely inspired the palazzo where my heroine Filamena lived in THE LOVER'S PATH. Though it's not in Venice proper, I also adore La Malcontenta, a villa in the Brenta River valley. That would be my ideal fantasy house! How did you learn about Filamena and what inspired you to write about her? Interestingly, I first learned about Filamena's sister Tullia Ziani -- it was Tullia who led me to Filamena, my heroine of THE LOVER'S PATH. Tullia's character was based upon the similarly named Tullia d'Aragona, a famous courtesan who lived in sixteenth century Italy. The real life Tullia was known for her intellect and lute playing. When she wasn't seducing powerful men, she was also a poet and a writer who published a book entitled DIALOGUES ON THE INFINITY OF LOVE. She used her publication of the book as an venue to avoid penalties under the 1543 sumptuary laws enacted in Italy; these punitive laws especially affected courtesans and their abilities to make a living. While I was researching Tullia, I learned that she had a much younger sister. Though there was little documentation about this sister save her name -- Penelope -- and her death at an early age, I knew that this was where my book needed to start from. After reading about Tullia d'Aragona and her sister, I wondered what it could have been like to be related to such a notorious courtesan; how it would affect your ability to love romantically, to create a life. In my novel, I named my Tullia's sister Filamena, inspired by the Greek myth of Philomela, who escaped attackers by transforming herself into a nightingale. So Filamena's character was created from a combination of fact and fiction. If you had to compare your heroine with a woman in today’s time, who would it be? That's a great question! In some ways Filamena reminds me of a diva like Maria Callas. While Filamena is very young in my novel, she grows into her talents and becomes powerful despite scandals and heartbreak, just as Callas did. Both women share an element of fate affecting their lives despite their best intentions. However, Filamena has far less of a tempestuous personality, though she's quite passionate. How important has Tarot reading become in your own life and in your creative endeavours? I'm very interested in Renaissance imagery, such as that found in the tarot or alchemy manuscripts. It was a natural for me to incorporate these into THE LOVER'S PATH, especially after I learned that courtesans of this era sometimes relied upon fortunetelling to empower themselves. For example, there's a scene in my book where Filamena is given a rather eventful tarot reading with the cards that appear in the Love Tarot app. From a creative standpoint, tarot can free up inspiration when you feel stuck. At the very least, they give you another opinion to consider! If you spend any time perusing tarot cards, you'll see stories within stories on them, something which Italo Calvino plays with in his novel THE CASTLE OF CROSSED DESTINIES. I've been working with the tarot since I was a teenager. I do read tarot for people, but I approach my readings from a Jungian-psychological standpoint rather than as a fortuneteller. That written, sometimes surprising facts emerge during a reading that can't be explained away by coincidence. It can be eerie. Any recommendations for newbie-at Tarot reading and Tarot iphone users? Sometimes people invest tarot cards with powers they don't possess. Ultimately, the cards are a tool to examine your life and (hopefully!) gain guidance. Though the Love Tarot app includes written meanings for each card, I always encourage people to trust their own instincts. What usually happens is that after working with the tarot for a time, you'll start to get a feel for how a card relates to your life. I also tell people that if you don't like what a tarot reading suggests, your next step is to find a way to transform your situation. You always have free will -- nothing is written in stone. Where do you go from here? What interesting new projects will you be venturing in? I'm at work on a follow up to DOOMED QUEENS about princesses in culture and history. I'm very excited by the way the book is unfolding, but it's a more complicated story to research and write than the one-two punch of DOOMED QUEENS. The book is turning into an exploration of women's aspirations and expectations. I also have other iPhone apps I'm planning to design. I've been yearning to venture into the digital frontier of publishing for some time now, so iPhone apps are a good fit for me. My work studio also doubles as a gallery that I curate exhibits and events for. Frankly, I'm rarely not at work on a creative project these days! I just need to find more time to do it all. Thank you so much Kris for a terrific interview! 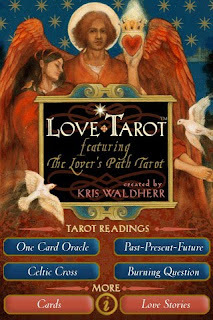 Remember that fabulous Love Tarot iPhone app that I mentioned in my last post? Well- Kris is offering this fantastic iPhone app to one lucky winner!!! Happy Monday everyone! Have you heard about the new Love Tarot iPhone app, now on the iTunes App Store? Kris Waldherr, that amazingly creative author/artist of Doomed Queens (see my review here) developed this fabulous app based on her book The Lover's Path. Why am I telling you this? Well, this week I will have a wonderful guest post by Kris and along with this there will be a GIVEAWAY of this amazing Love Tarot iPhone app! But that's not all- to wrap this all up, I've also received The Lover's Path for review...along with the review will come the GIVEAWAY for this splendid novel!! Anyone as crazy as I am about Venice will revel in the 16th c story based on Filamena Ziani, part of Venice's history, museums and palazzos, music, courtesans,love, tarots and more...Can't wait to share! For now, here's a link about the Love Tarot iPhone app. So don't forget to stop by this week for a bit of history, love, Venice and so much more! Lady Vernon and Her Daughter- Winners Announced!! Ever since I started blogging (almost a year ago! ), I've met so many wonderful bloggers- some of the kindest, friendliest, smartest and most interesting people ever...too bad we only get to know eachother online--BUT-- This wasn't the case last Thursday evening! A local Chapters Indigo here in Montreal was hosting a book signing by Kelley Armstrong and I had read through some of my favourite blogs, and Twitter, that a few Montreal bloggers were going to be there. It just so happened I had an appointment somewhere with my daughter that evening- right close by to Chapters...so I made it a point to pop in. It was almost closing time as I snooped in and started checking for familiar blog faces- and there they were! I finally got to meet Cindy from Cindy's Love of Books, Linda from Bambi Reads and Donna from BookBound. We just got to chit chat for a bit before heading off to our own homes. It was great to be able to see the person behind that teeny blog picture:) These ladies are major readers and their reviews rock! If you haven't already done so- go check out their blogs now- they're great! Author Guest Post + Pendragon's Banner- GIVEAWAY!!!! 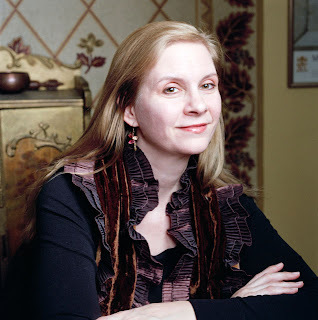 Today, here at EBJ, I have the great pleasure of presenting to you Helen Hollick, author of the King Arthur Trilogy: The King Making, Pendragon’s Banner, and Shadow King, amongst other great novels she’s written. 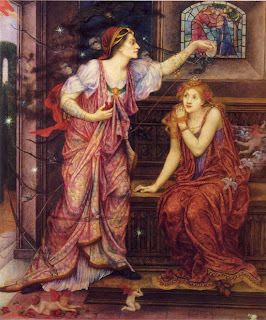 Helen has graced my blog with an amazing post on Gwenhwyfar, Arthur’s great heroine! When I first started writing what would eventually become The Pendragon’s Banner Trilogy, I had intended to write Gwenhwyfar’s story, even writing it as first person. This did not work well however, although it took me many months and a lot of paper screwed up and thrown into the bin to realise it! It gradually dawned on me that I wanted to write the story from Arthur’s viewpoint, to place him as the lead character, and I also discovered that writing in third person narrative was far more rewarding, as I could explore more than one character in detail. My Arthur is a complex character. He was abused as a child, grew up to be a lonely man who could never trust anyone – except the love of his life, Gwenhwyfar. As with all complex people though, their relationship is like a roller-coaster ride, never smooth. They squabble and argue – but equally have a deep passion for each other. I was determined, therefore, to write my story as it may have really happened, no myth, magic or fantasy. No Knights, Grails or Round Tables. No Merlin and no Lancelot. And MY Gwenhwyfar was going to be the sort of women who was capable, calm, infinitely patient – and above all 100% loyal. I decided to place her as the only daughter of a real Welsh Prince – Cunedda of Gwynedd. He, and his nine sons are well documented, so I figured adding one daughter would be acceptable. To my delight as I was wading through lists of genealogies – admittedly not necessarily reliable – and came across a daughter for Cunedda. Her name was Gwen! I fell in love with my Arthur as I was writing my books, and I confess, I love Gwenhwyfar too. The pleasure was all mine Helen- Thank you so much! Now doesn't that whet your appetite for this grand Arthurian tale? Please stay tuned for my review of this fascinating read- coming soon. 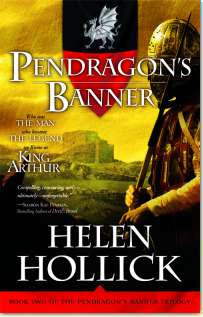 The GIVEAWAY of Pendragon’s Banner, courtesy of Sourcebooks! US and Canada only. With an exhausted grunt of effort Arthur, the Pendragon, raised his sword and with a deep intake of breath, brought it down through the full force of weight and momentum into the skull of an Anglian thegn. Another battle. Arthur was four and twenty years of age, had been proclaimed Supreme King over Greater and Less Britain three years past by the army of the British - and had been fighting to keep the royal torque secure around his neck ever since. The man crumpled, instantly dead. Arthur wrenched his blade from shattered bone and tissue with a sucking squelch, a sickening sound, one he would never grow used to. Oh, the harpers told of the glories of battle, the victory, the brave daring skill - but they never told of the stench that assaulted your nostrils, bringing choking vomit to your throat. Nor of the screams that scalded your ears, nor the blood that clung foul and sticky and slippery hands and fingers, or spattered face and clothing. He turned, anxious, aware that a cavalryman was vulnerable on the ground. His stallion was somewhere to the left, a hindleg injured. The horses. Hah! No harper, no matter how skilled, could ever describe the sound of a horse screaming its death in agony. There was no glory in battle, only the great relief that you were still alive when it was all over. With slow-expelled breath, the Pendragon lowered his sword and unbuckled the straps of his helmet, let them dangle free, his face stinging from the release of the tight, chaffing leather. He was tired. By the Bull of Mithras, was he tired! Arthur stabbed his sword blade into the churned grass and sank to his knees. His fingers clasped the sword's pommel as he dropped his forehead to rest on his hands, conscious suddenly of the great weariness in his arms and legs and across his neck and shoulders. It had been a long day, a long season. He was bone tired of fighting and the stink of death. He had a wife, two sons born, another child on the way; he needed to be with them, to be establishing a secure stronghold fit for a king and his queen; to be making laws and passing judgements - raising his sons to follow after him. A king needed sons. Llacheu would reach his fourth birthday next month. He needed Gwenhwyfar, but she was to the north, more than a day's ride at Lindum Colonia, uncomfortable in her bulk of child-bearing. Love of Mithras, let it be another son! Please note that undisclosed or anonymous profiles are not eligible for this draw. I was intrigued by this mistress who was most probably a total change of pace for Henry, when compared to Eleanore. Read the rest here. Wishing all my Canadian Friends a Happy Thanksgiving Day! Winners of Virgin's Daughters Giveaway!! Ingrid from Fashion is my Muse! This delightful, quick and engaging read is my 4th for the Everything Austen Challenge. If you’ve noticed, these days I’ve been reading shorter Austen works. I find that these offer the perfect respite in between longer and more challenging books, such as the historical non-fictions I plunge into head first for research most of the time. I love knowing that after a heady book I can turn to something this charming to lighten up and really help me unwind; The Watsons,by Jane Austen is a perfect read that achieves just that. This fragment of a novel takes a slice of Emma Watson’s life and details the events that take place in a rather short time, giving us a very full picture of characters lives, personalities and flaws. Emma Watson, having been brought up by her aunt and uncle, is prompted to return home after the passing of the latter-left with no reaon to remain since her aunt decidedly chooses to restart her life with a new man. Being away from her father (who is now ill) and siblings for well over ten years, not only does Emma hardly know any of them, she must also learn how to figure them all out. This also means she must rely on the opinions shared with her by others – where rivalry is at the core of it all. We also meet her brother, Robert, and his very manipulative wife, Jane- who doesn’t seem to like any of her sister-in-laws at all. Margaret (another of Emma’s sisters) who spent some time with them both, is especially a target for Jane. As for Robert- he is definitely not happy that Emma is back home, penniless from having been totally neglected in her late uncle’s will. He also blames the aunt for her flimsiness in darting off with a new man. Amidst all this, Emma feels like a lost soul- completely different from her siblings. Having experienced nothing but love and kindness from her aunt and uncle, all of this jealousy and opposition amongst her siblings is perplexing to her as well as quite stressful. Hungry for a quick Austen book?- The Watsons, I’d say, is the best snack-read ever! I don't usually do Mailbox Monday, (which I absolutely love reading on my favourite blogs)I guess you could call it a lazy thing; I'm just not so diligent about listing the books I receive. Right now I'm in the middle of reading Cleopatra's Daughter,by Michelle Moran, Pendragon's Banner, by Helen Hollick,, The Watsons by Jane Austen,..this is besides the ones I'm getting ready to review for November: Heyer's, The Wind of Blame coming up in November, plus, plus,plus..
And unfortunately, it seems like the ones I've got my heart really set on reading keep getting pushed back. These are only a few of the ones I'm dying to read. Then there's my antique collection of memoirs that it seems I'll never get to. Mind you, I've managed to read a chapter here and there of all the books mentioned- so at least I feel like I'm not depriving myself totally. And to top it all, I'm already beginning to salavate about the books that I have yet to receive, but that are on their way. This is definitely a compulsion or addiction of sorts. Stop complaining and get to reading!! Change of pace...let's talk Austen for a bit. I'm so glad I entered the Everything Austen Challenge as it seems this is another over-indulgence of mine. Austen sequels, letters, excerpts, older volumes, new authors in the genre...I'm there. Can't get enough of Austen -related reads. So imagine how thrilled I was this morning to see that over at Psychotic State, I won the giveaway for Lydia Bennet's Story!!! 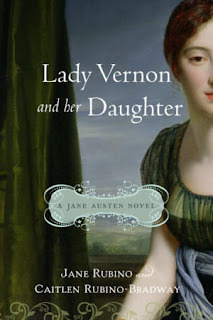 Thanks to Crown Publishing's wonderful generosity,Enchanted By Josephine has 5 copies of Lady Vernon and Her Daughter: A Novel of Jane Austen's Susan by Jane Rubino and Caitlen Rubino-Bradway!! * Giveaway ends on October 16th. Winner will be announced on October 17th. * Open to US entries ONLY. Hello Everyone! What a special treat it is for me to present to you today the author of The Virgin's Daughters, Jeane Westin. Jeane is an expert on ElizabethI and her love and knowledge of this queen is definitely reflected in her book, The Virgin'sDaughters-For all you Elizabeth-crazed-fans out there...you've got to read the book! (See my review here). 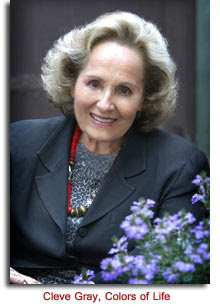 Have you ever visited Jeane's site? Oh, you've got to go! If you look up her bio, you'll see pictures of her Tudor cottage and learn about the way Jeane and her husband worked on it. And- besides her books, there's even a book club section and a Fun Facts about Elizabeth. 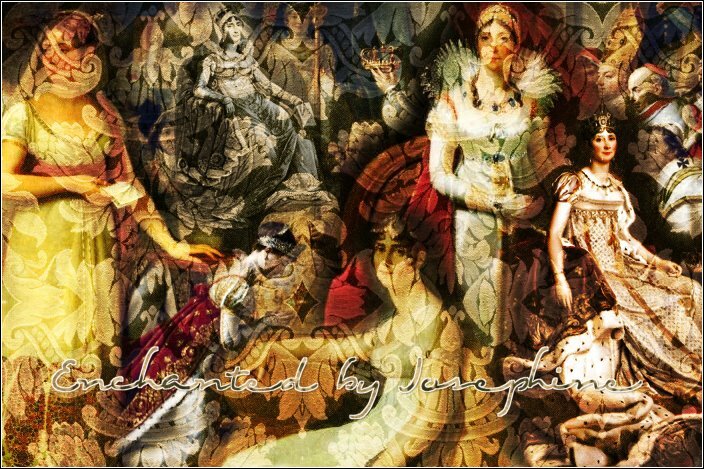 Today, Jeane has written a lovely piece on Elizabeth for Enchanted by Josephine. Why I write about Elizabeth I.
Elizabeth Tudor, who reigned as queen of England without a consort from 1558 until 1603 is to me the most fascinating woman in western history. The fact that she ruled alone makes her unique. Women were not supposed to have the mental powers to rule. People believed in a God ordained Great Chain of Being and women were near the bottom just above children. Her council, Parliament and people demanded that she marry to have the guidance of a man and to produce heirs for the throne. She side-stepped them and carried on long protracted marriage negotiations with most of the eligible princes of Europe. In that way, she escaped marriage, which meant she had to share her throne with no one and escaped childbirth, which was very risky in those days of primitive medicine. And why wouldn't she? Her father Henry VIII had shown her how dangerous marriage was for a queen. Here's an anecdote to show her shrewdness: her Parliament voted to demand her marriage and sent her a formal document. She replied that she appreciated their concern for her and the realm, but she would marry when she wanted to and added the inarguable statement that God would take care of the succession. In her words to Parliament, "herewith my answer, answerless." She managed to have it both ways into her middle years. Courtships and gifts, long negotiations which kept European countries from attacking England, and in the end she gave them nothing. 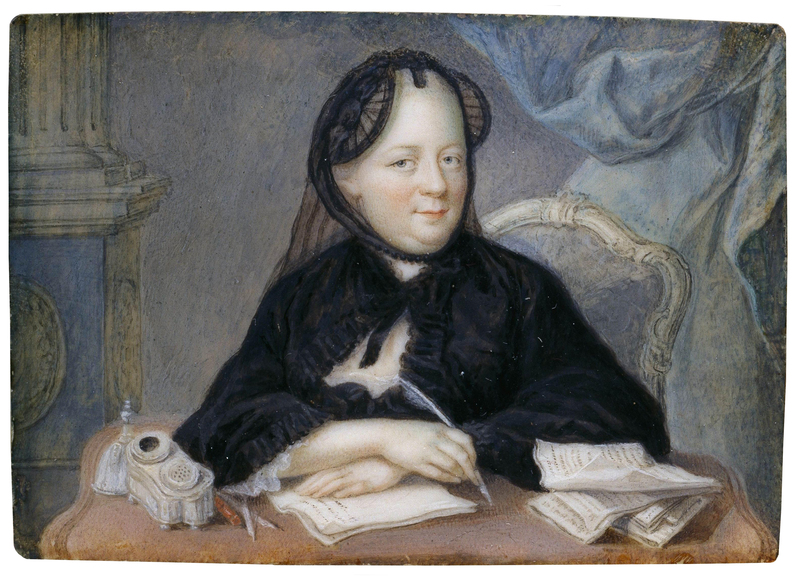 It is reported that after the Duc d'Alencon, her final suitor, left the palace for the last time, she wrote a lovely poem to him, wept tears on the pier waving her handkerchief until he was out of sight and then returned to her bedchamber and danced for joy. I think she was the mistress of holding out hope while never coming through...perhaps history's greatest royal tease. She was brilliant, of course, probably a genius; she spoke many languages and whiled away winter evenings translating ancient Greek and Latin authors into English and back again. She was athletic...riding, hunting, walking, dancing until all hours, but also sickly. The list of her illnesses is very long and from the evidence, I believe she was anorexic and perhaps, prone to nervous breakdowns. That she ruled so long and so well is a tribute to her stamina and courage. Elizabeth hated war and sometimes delayed her decisions until the problem disappeared, strengthening her belief in indecision...maddening to her councilors, but wise in the end. She wasn't beautiful, but she was extremely handsome, striking and commanding, taller than most women of her time with white skin, red Tudor hair and a slightly hooked Plantagenet nose. She spent money sparingly. When young, she dressed plainly, but when a queen she used clothes to display her regal self. She had more than 2,000 gowns at her death, but she was frugal even with them. She reused jewels, oversleeves, embroidered pieces that she liked, gave gowns to her ladies and had them recut and styled with the changing fashion...a kind of early recycled mix and match. Several men truly loved her. Thomas Heneage, Christopher Hatton and other minor courtiers, but Robert Dudley, her Sweet Robin, was her greatest love. When she died, a letter from him was found in her treasures box by her bedside labeled in her handwriting His Last Letter, which gave me the idea for the book I'm writing now. These are just some of the reasons I write about Elizabeth, but the greatest one is to search for the unanswered question: At heart who was she? In my first book, The Virgin's Daughters: In the Court of Elizabeth I, from NAL, August, 2009, I write about her from the viewpoint of two ladies in waiting at the bookends of her life. In His Last Letter: Elizabeth I and the Earl of Leicester, to be published in August, 2010, I write from her viewpoint and from Robert Dudley's, trying to get inside the reasons she never married him, but continued to love him until the end. And also why her Sweet Robin stayed beside her even after he lost all hope of marrying her. I believe theirs was one of the great love stories of history...and still a mystery. Thanks, Lucy, for allowing me to comment on your blog. It's always a pleasure to write about Elizabeth. Penguin Books has graciously agreed to give away a copy of TheVirgin's Daughters to - 2 LUCKY WINNERS here at Enchanted by Josephine!!! Open to Canada and US only.